Microsoft’s CEO tells the inside story of the company’s continuing transformation while tracing his own journey from a childhood in India to leading some of the most significant changes of the digital era and offering his vision for the coming wave of intelligent technologies. 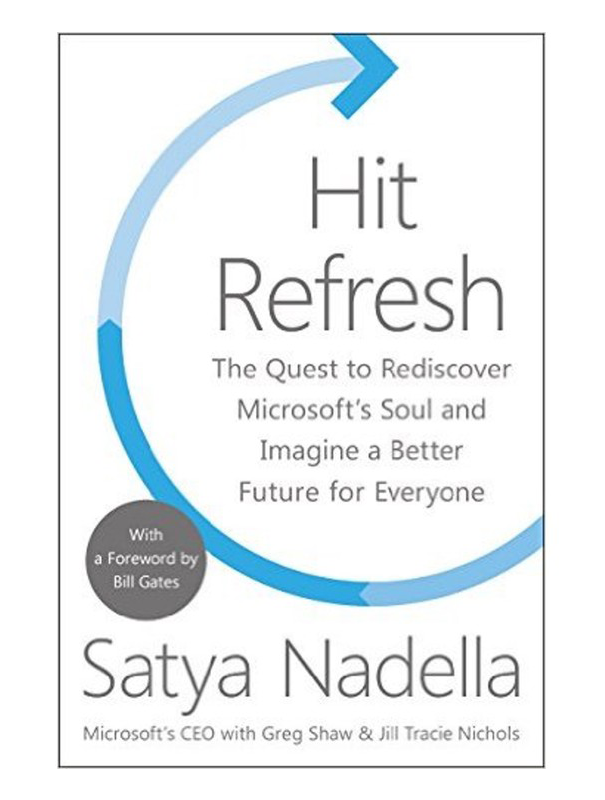 Hit Refresh is about individual change, the transformation happening inside Microsoft, and the arrival of the most exciting and disruptive wave of technology humankind has experienced – including artificial intelligence, mixed reality, and quantum computing. It examines how people, organizations, and societies can and must transform, how they must ‘hit refresh’ in their persistent quest for new energy, new ideas, and continued relevance and renewal. Yet at its core, it’s about humans and how one of our essential qualities – empathy – will become ever more valuable in a world where technological advancement will alter the status quo as never before. ‘Ideas excite me,’ Nadella explains. ‘Empathy grounds and centres me.’ A series of recommendations presented as algorithms, Hit Refresh is an astute contemplation of what lies ahead from a conscientious, deliberative leader searching for improvement – for himself, for a storied company, and for society. Satya Nadella is a husband, a father, and the chief executive officer of Microsoft – only the third in the company’s forty-year history. On his twenty-first birthday, Nadella emigrated from Hyderabad, India, to the United States to pursue a master’s degree in computer science. He joined Microsoft in 1992. As much a humanist as a technologist, Nadella defines his mission and that of the company he leads as empowering every person and every organization on the planet to achieve more.